The High Seas Alliance, an alliance of 32 NGOs and the International Union for the Conservation of Nature (IUCN), reports 21st July 2017: “States meeting at the United Nations in New York today took an important step towards launching negotiations for a new treaty to protect the biodiversityBiological diversity in an environment as indicated by numbers of different species of plants and animals. of the high seas (areas beyond the national jurisdiction). Making up two thirds of the global ocean, marine life in the high seas is not effectively protected. A new treaty will rectify this, putting in place measures to protect the rich and globally significant biodiversityBiological diversity in an environment as indicated by numbers of different species of plants and animals. and ecosystem services of the high seas and to govern activities undertaken there sustainably. Although the wording of the recommendation did not reflect the very strong support for rapid UN action towards a treaty, it will enable the General Assembly to convene an Intergovernmental Conference. 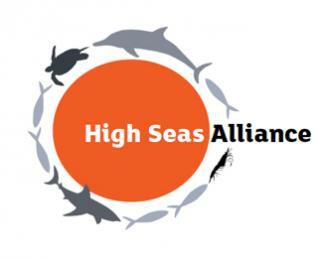 The 35 member organisations of the High Seas Alliance which have campaigned for this treaty were pleased with the recommendation to move forwards. The decision of the Preparatory Committee will now go the UN General Assembly. The overwhelming majority of states are pushing for the next step to be an Intergovernmental Conference (IGC) convened in 2018. An IGC would mean formal negotiations on the text of a new treaty would commence. Veronica Frank of Greenpeace said: “Although we hoped to see a starting date included for the negotiating conference, it was good to see such overwhelming support for moving the process forward and so many people around the world speaking up for ocean protection. “This represents a major step in a long journey driven by a large number of committed states” added Tim Packeiser of WWF. “We need to continue this momentum through to the General Assembly to deliver a resolution for an Intergovernmental Conference”. In June of this year all States signed on to a global call to action for the ocean, of which the high seas is a major part. Marinet observes: The mission of the High Seas Alliance is to conserve the high seas – which cover half the planet. These are the areas of the ocean which are beyond national jurisdiction (beyond 200 nautical miles from the coast of any nation) and which have no ownership and virtually no governance. The prospect of a UN Ocean Treaty which will bring governance to these high seas has become the “holy grail” of those who want to protect the Earth’s ocean which is at the moment essentially unmanaged and lawless. Earth is an Ocean Planet. Ocean covers over 70% of its surface, and to depths greater than the highest mountains. The ecological processes that take place in the ocean are the cornerstone to life on Earth. Should these ecosystems fail or falter then life as we know it perishes, i.e. our extinction. If we neglect the ocean and fail to take steps to ensure our actions respect and conserve it, we merit that extinction. Life on this Ocean Planet has no place for the behaviour of such a species. At present our record is not good. Some would say, appalling. Fishing practices worldwide display chronic over-fishing, with some species and areas in a critical condition. Ocean temperatures are rising and affecting coral reefs adversely, along with ocean currents and their circulatory systems which in turn determine the overall climate patterns on the continents. The ocean is also becoming more acidic due to the absorption of higher levels of atmospheric CO2 from years of fossil fuel burning, and this acidification affects all creatures with calcareous shells including the vast population of calcareous plankton Plankton is a generic term for a wide variety of the smallest yet most important organisms form that drift in our oceans. They can exist in larger forms of more than 20cm as the larval forms of jellyfish, squid, starfish, sea urchins, etc. and can be algae, bacterial or even viral down to as small as 0.2µm. They are nutrient and light dependent, and form the essential foodchain baseline for larger dependent aquatic lifeforms. Fish species rely on the density and distribution of zooplankton Zooplankton form the group of tiny animals such as minuscule jellyfish and rotifers present in the marine environment. They are a major source of food for those higher up the food chain, and their numbers relate directly as a good indicator to the nutrient enrichment of the sea of the area. Note: phytoplankton are microscopic plants, and zooplankton are microscopic animals. to coincide with first-feeding larvae for good survival of their larvae, which can otherwise starve. Man-made impacts such as dredging, dams on rivers, waste dumping, etc can severely affect zooplankton Zooplankton form the group of tiny animals such as minuscule jellyfish and rotifers present in the marine environment. They are a major source of food for those higher up the food chain, and their numbers relate directly as a good indicator to the nutrient enrichment of the sea of the area. Note: phytoplankton are microscopic plants, and zooplankton are microscopic animals. density and distribution, which can in turn strongly affect larval survival and thus breeding success and stock strength of fish species and the entire ecosystem. They also form the essential basis of CO2 take up in our seas ecosystem, hence Global Warming. (tiny plants) which live in the ocean and regenerate the planet’s oxygen. Disrupt these ecological systems, and life as we know it becomes severely challenged. Can we survive that? It would be a foolhardy person who answered yes to that question. That is why proper governance and management of the ocean has become so essential. An Ocean Treaty, supported by all nations in the UN, is the only solution. This is not a maybe decision, it is an imperative. Without it, we will become extinct. Is the version of a UN Ocean Treaty that is mooted — there is no actual version or text on the table yet, and there will not be for some time — workable? What the participating States and NGOs agreed recently (June and July 2017) is only the declaration of an aspiration, and nothing more. Some NGOs, Greenpeace for example, have set out a governance framework based on creating marine protected areas (including no-take marine reserves) covering around 30% of the high seas, with States declaring that they are willing to co-operate in the creation, monitoring and management of these protected areas. However proposals such as this do not address the question of enforcement — a police force and judicial system — and substantial areas of the high seas (70%) will not be marine protected areas. This does not look like a workable Ocean Treaty. There is an International Governing Body. The Governing Body has complete jurisdiction over the ocean — administrative and judicial. All of the ocean (100%) is a marine protected area. This structure means that there is an international governing body, with legal authority granted through a UN Treaty. This body manages and protects all the ocean — not just a bit here and there, but everywhere. This governing body has international authority, which means all nations are bound by its actions and decisions. Its authority comes from the UN Treaty, and its administrative structure (its bureaucracy and executive) is appointed/elected via the UN Treaty. It has universal administrative and judicial authority throughout the ocean and, because the default position is that all the ocean is a marine protected area, this means that no activity can occur without its consent. This consent means it has the power to raise money (revenue) through its licensing and so finance its own administration, and has judicial power to enforce proper governance and behaviour by the withdrawal of the licence. This formula means protection of the ocean is guaranteed — in every aspect and from all perspectives — because the default position is that the whole ocean is a marine protected area and there is an international governing authority, legitimately created and constituted on an ongoing basis, which has total jurisdiction. It passes the test — It has legitimacy, it is a UN Treaty, and it is workable. Under this formula all the ocean is protected because this is the default position, and the governing authority is self-financing, and has a full and unqualified mandate to deliver governance in all its forms and, most importantly, through enforcement. Marinet has published this blueprint earlier, click here. It is currently being worked up to a full model by its author — a Marinet member — with publication next year. Footnote: Do not let yourself think that all this is academic, or that an Ocean Treaty is merely wishful thinking and the aspiration of dreamers. You would be wrong to make that mistake. Be in no doubt, it is an imperative. This means it is needed right now, and needed in the fully-fledged form set out here. If the ocean ecosystem loses its biodiversityBiological diversity in an environment as indicated by numbers of different species of plants and animals. and integrity, as is presently threatened, life on this planet goes into a tail-spin and we die. Yes, that means we become extinct. That’s the reality confronting us. Take action and lobby for genuine 21st Century thinking, the Ocean Treaty is the route to our survival.